He is chasing for a third consecutive league win on a personal level, while the success could yield Juventus an unprecedented sixth consecutive league success. Allegri is reportedly set to be rewarded for this incredible performances with a new bumper contract in order to prevent any interest from Arsenal. The manager’s existing contract runs out in the summer of 2018. Juventus are also preparing contingency plans and they have identified Atletico Madrid boss Diego Simeone as the perfect candidate to replace Allegri should he move to Arsenal. “I am very happy at Juventus and until they kick me out, I’m content to stay. 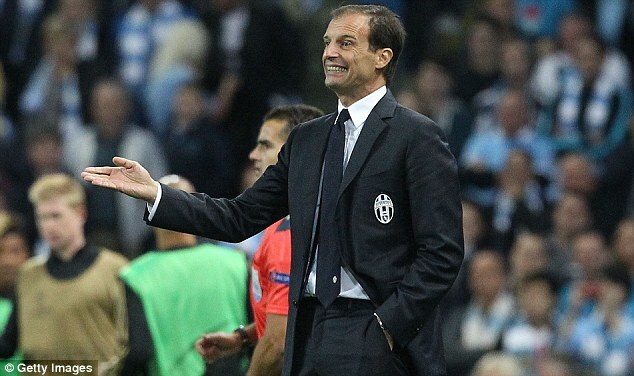 I am studying English, but I have been for many years,” said Allegri in a recent interview. The manager is reportedly on a contract worth around £ 4 million per year, which is almost half the wages of Arsene Wenger. There is little doubt that Arsenal will be able to offer significantly higher wages than Allegri’s current contract. As a result, Juventus are preparing a bumper deal for the manager.